What is your favorite Life Sciences article or news you read & Why? One of my recent favorite ones is on the discovery of a gene called LIF6 and how it functions in elephants, which protects them against cancer. 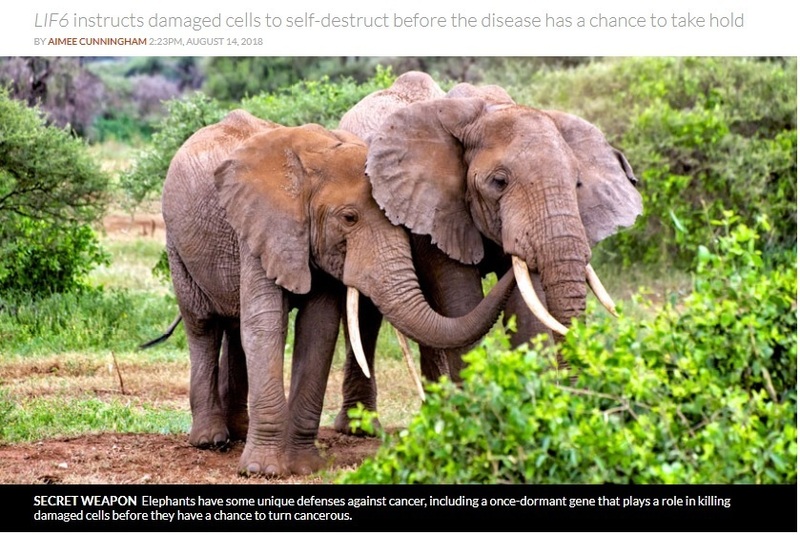 This might help finding more insights for humans to fight against cancer: https://www.sciencenews.org/article/resurrected-gene-may-protect-elephants-cancer . It is fascinating to see that such big animals are less susceptible to cancer despite their size. Have you heard about this before and What are your thoughts on this? Also what would be your favorite article or news in Life Sciences and why? Please feel free to share such articles and news here as you come across them. Thank you. 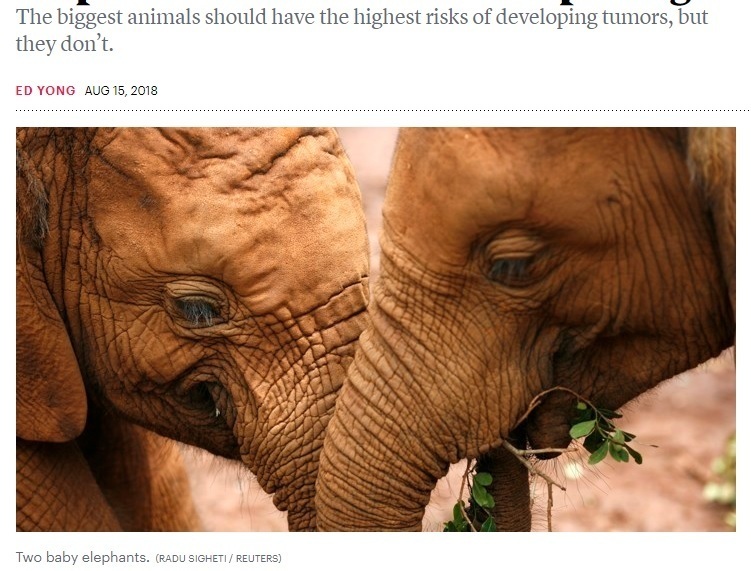 I have come across one more article on this news with elephants with a very cute photo of elephants here: https://www.theatlantic.com/science/archive/2018/08/did-a-zombie-gene-help-elephants-to-beat-cancer/567583/ , which gives more details on this study. I also feel like assuring everyone that elephants would not have been harmed in such a study as DNA analysis can be done from saliva sample or hair or blood, etc. in case anyone felt a bit concerned about it. How interesting, @Denise. Those are cute pictures of the elephants too! I just came across this thread now. I can't believe I missed it before. Thank you @Lillian ! I am glad you found the thread! Lovely to see you here too!